For those of us in the United States, we have had Google Play Music ad-supported streaming music for months. Unfortunately for our friends north of the border in Canada, that has not been the case. While the app has been available, it has not allowed you to stream audio content other than what you have uploaded to the service unless you subscribed to the unlimited service. That changes today. 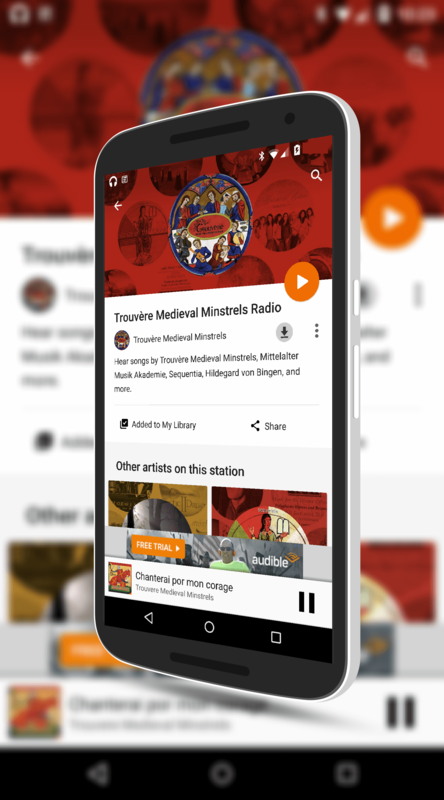 Now Canadians can stream music in Google Play Music on their Android phones and tablets free without having to subscribe. and it give me music that is suited for keeping me energized and entertained while in the kitchen. If I’m driving, I can listen to my favorite songs from the 80s (I’m a child of the 80s, don’t judge). You can of course also stream particular genres of music and your own music that you have uploaded to the service. The ad-supported streaming can of course be eliminated by purchasing an unlimited plan from Google. If you have not given Google Play Music a try in Canada, give it a go and find that music you want to listen to easily no matter where you are at the time.